What are preserved roses? Click Here! 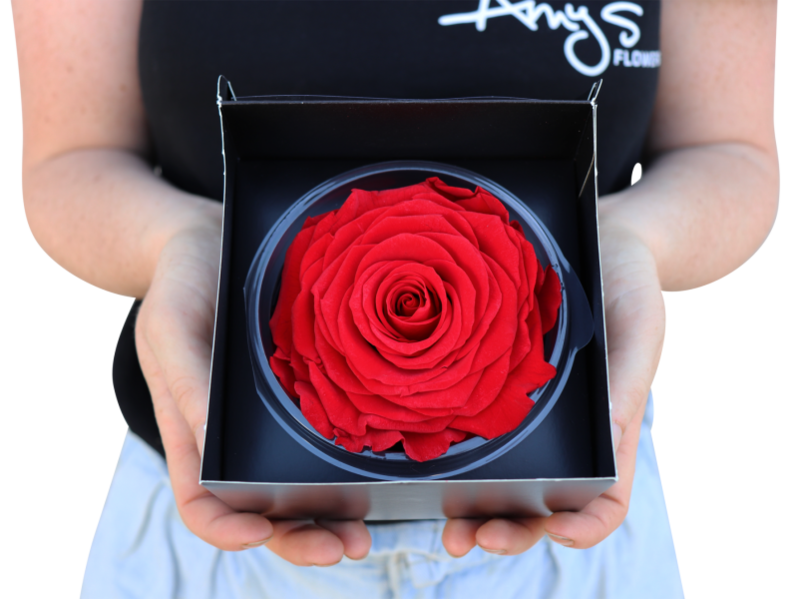 This solitary classic red rose is a stunner! This extra large velvety bloom looks even better than fresh and lasts up to a year!! Comes in a black window box. No water needed!